Daylight Saving Time (DST) begins on Sunday, March 13, 2016, at 2:00am. Clocks shift back to Standard Time onSunday, November 6, 2016 at 2:00am. This shift in time moves one hour of daylight from the evening into the morning hours. 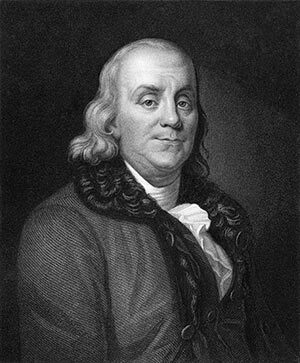 The idea of daylight saving was first conceived by Benjamin Franklin during his sojourn as an American delegate in Paris in 1784, in an essay, "An Economical Project." In September 1999, the West Bank was on Daylight Saving Time while Israel had just switched back to standard time. West Bank terrorists prepared time bombs and smuggled them to their Israeli counterparts, who misunderstood the time on the bombs. As the bombs were being planted, they exploded--one hour too early--killing three terrorists instead of the intended victims--two busloads of people. Through 2006, Daylight Saving Time in the U.S. ended a few days before Halloween (October 31). Children’s pedestrian deaths are four times higher on Halloween than on any other night of the year. A new law to extend DST to the first Sunday in November took effect in 2007, with the purpose of providing trick-or-treaters more light and therefore more safety from traffic accidents. For decades, candy manufacturers lobbied for a Daylight Saving Time extension to Halloween, as many of the young trick-or-treaters gathering candy are not allowed out after dark, and thus an added hour of light means a big holiday treat for the candy industry. Anecdotally, the 2007 switch may not have had much effect, as it appeared that children simply waited until dark to go trick-or-treating. AM radio signals propagate much further at night than during the day. During daytime, more stations in neighboring areas can broadcast on the same frequency without interfering with each other. Because of this situation, there are hundreds of stations licensed to operate only in the daytime.Daylight Saving Time can affect the bottom line of these daytime-only radio stations: during parts of the year it can cause the stations to lose their most profitable time of day--the morning drive time. The gain of an hour of daylight - and thus broadcast time - in the evening does not fully compensate for the morning loss. Through 2006, the Daylight Saving Time period has closed on the last Sunday in October, about a week before Election Day, which is held the Tuesday after the first Monday in November. The extension of Daylight Saving Time into November has been proposed as a way to encourage greater voter participation, the theory being that more people would go to the polls if it was still light when they returned home from work. The U.S. law taking effect in 2007 pushes the end of Daylight Saving Time to the first Sunday in November. In some years (2010, 2021, 2027, and 2032), this will fall after Election Day, giving researchers the opportunity to gauge its effect on voter turnout. Indiana has long been a hotbed of Daylight Saving Time controversy. Historically, the state's two western corners, which fall in the Central Time Zone, observed DST, while the remainder of the state, in the Eastern Time zone, followed year-round Standard Time. An additional complication was that five southeastern counties near Cincinnati and Louisville unofficially observed DST to keep in sync with those cities. Because of the longstanding feuds over DST, Indiana politicians often treated the subject gingerly. In 1996, gubernatorial candidate Rex Early firmly declared, "Some of my friends are for putting all of Indiana on Daylight Saving Time. Some are against it. And I always try to support my friends." In April 2005, Indiana legislators passed a law that implemented Daylight Saving Time statewide beginning on April 2, 2006. Likewise, in 1986, Daylight Saving Time moved from the last Sunday in April to the first Sunday in April. No change was made to the ending date of the last Sunday in October. Adding the entire month of April to Daylight Saving Time is estimated to save the U.S. about 300,000 barrels of oil each year. In November 2007, Laura Cirioli of North Carolina gave birth to Peter at 1:32 a.m. and, 34 minutes later, to Allison. However, because Daylight Saving Time reverted to Standard Time at 2:00 a.m., Allison was born at 1:06 a.m.